How to Determine Girls' T-Shirt Size? 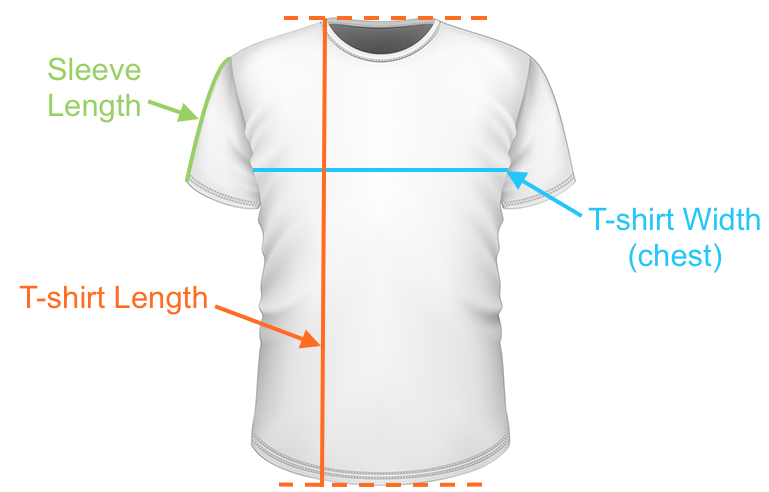 Length: T-shirt length in front, top to bottom. Chest Width: T-shirt width edge-to-egde (not circumference) over fullest part of chest (bust). Use measurements to determine girls't-shirt size with the size chart below. Note: Sleeve length is not included, because it varies a lot with different t-shirt styles. Bust: circumference around bust at the fullest part - use a flexible measuring tape. Waist: circumference around your natural waistline. Waistline is located just above the navel (belly button) It is the narrowest/slimmest part of girl's torso. If your measurements fall between two sizes, we recommend to select the larger size (but you may try both sizes on if possible). Need larger sizes? See Women's t-shirt size chart! Tips, Tricks or Questions about Girls' T-shirt Sizes? Have you got tips or tricks about Girls' t-shirt sizing? Or maybe a questions? Please post it here. Thanks!